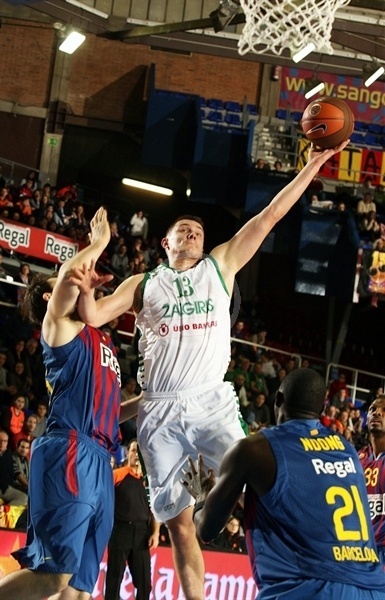 Despite having serious problems in the second and third quarters, FC Barcelona Regal stepped up and got its third Top 16 win on Thursday night at home against Zalgiris Kaunas, 94-80. The hosts started controlling the game, but after leading 28-18, the guests came back strong and even managed to forge a 36-41 lead. 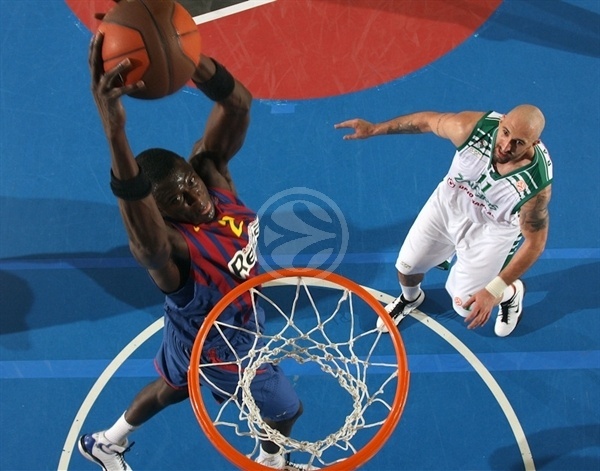 However, in the last period, Barca stormed on the court and jumped ahead for good. The win allows Barca to claim full control of Group H with a 3-0 record, while Zalgiris drops to 0-3 and cannot afford more false steps in the next games. 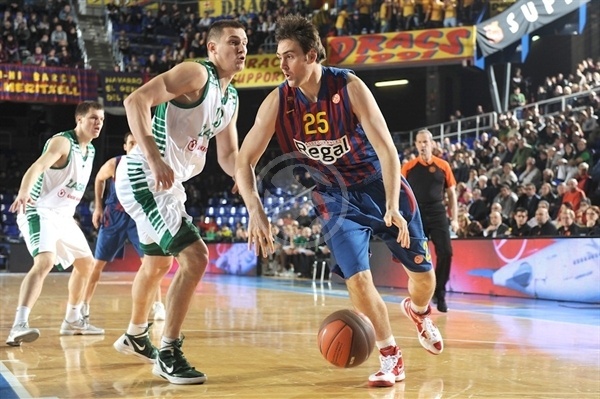 Erazem Lorbek led the winners with his 19 points, Juan Carlos Navarro added 16 and Marcelinho Huertas added 14. Pete Mickeal and Fran Vazquez contributed with 11 each. For Zalgiris, Sonny Weems led the way with 17 points, Robertas Javtokas posted 13 and Paulius Jankunas and Milovan Rakovic chipped in with 12 apiece. Tomas Delininkaitis also had 11. With only 2 steals and 13 turnovers, the Lithuanian team saw this negative trend weight too much while Barcelonas 20 of 25 from the line also made a difference. 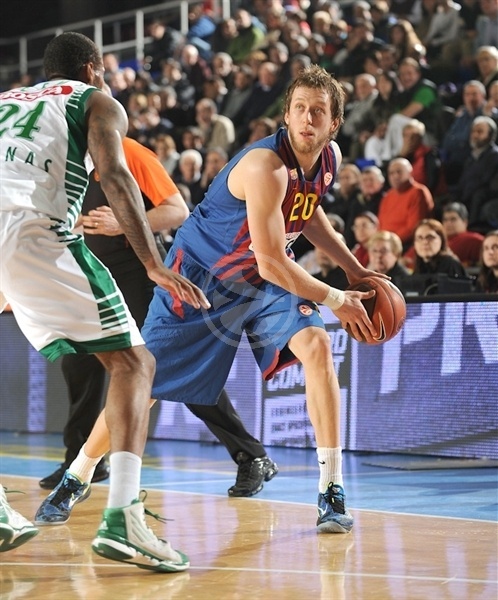 Sonny Weems opened the score for Zalgiris inside, but soon, FC Barcelona Regal was up in the score as Marcelinho Huertas and Erazem Lorbek, with a slam, connected after good ball circulation. Robertas Javtokas returned the favor with a new slam to tie the game, but then Huertas appeared again with a three from the corner for 7-4. Barcas defense inside was growing stronger and Mantas Kalnietis didnt have any other option than shooting a clean jumper that went in, but when Chuck Eidson did the same and Kosta Perovic blocked Weems' shot, the first timeout arrived with a 11-6 Barcelona edge. The hosts started looking inside for Fran Vazquez, and they found him as Zalgiris was leaving a hole in the paint. Vazquez scored two easy baskets and drew a foul underneath to make it 21-14. 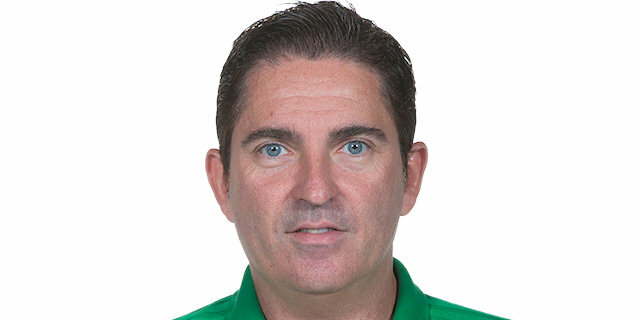 With Juan Carlos Navarro on court, Barca ran a little more and Zalgiris had to turn to Milovan Rakovic to stay in the game. A DeJuan Collins smooth rainbow shot made it 21-18, but in the last play of the quarter, Navarro hit two free throws to make it 23-18 after 10 minutes. The second quarter started with a bang as Huertas fed Vazquez for an alley-oop and soon enough, Barca recovered a ball for Navarro to his a fast bomb that made it a 10-point game, 28-18, in the blink of an eye, forcing Zalgiris to call a timeout. The timeout proved providential as, after that, the run was 1-11 for a tie at 29-29. The protagonist in that burst was Javtokas, who worked hard inside for three baskets around the Barca defense, including offensive rebounds, while Kalnietis added a three of his own. When Javtokas missed and Weems flew to get the ball and slam it in, it was time for Barca's timeout. The hosts were slowing down a little in offense while Javtokas was still all revved up on the other end making it 29-31, the first Zalgiris lead since the first basket. Weems also wanted in in the Zalgiris party and scored twice in a row from the paint to make it 31-35. In offense, Barca was struggling to find its rhythm even though it shined in singular plays like Joe Ingles' assist to Vazquez for an alley-oop with two minutes to go. When Tomas Delininkaitis and Paulius Jankunas chained threes for 36-41 it was clear that the guests were keeping the upper hand. Lorbek was doing all the work in offense now for Barcelona and made it 40-41, but Jankunas grabbed an offensive board and scored to make it 40-43. In the last play, Navarro strolled to the rim to put an end to the first half, 42-43. The second quarter started with both teams eschanging baskets until Pete Mickeal put the hosts ahead again and Navarro joined in with two free throws for 48 -45. Delininkaitis had just stepped on court when he hit a new three but then Navarro had the same reply up his sleeve to make it 53-49. Little by little, Barca was finding the way to the basket again despite Weems' efforts, as two more Navarro free throws made it 58-51. 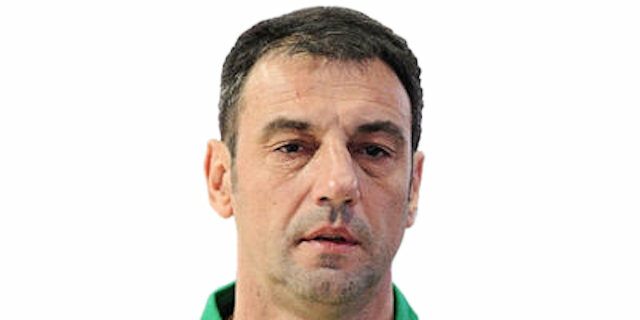 Kalnietis kept Zalgiris alive, but Huertas replied with a three. It was Rakovic who stepped up in the paint and hit five points of his own in a row to make it a two-point game, 61-59. 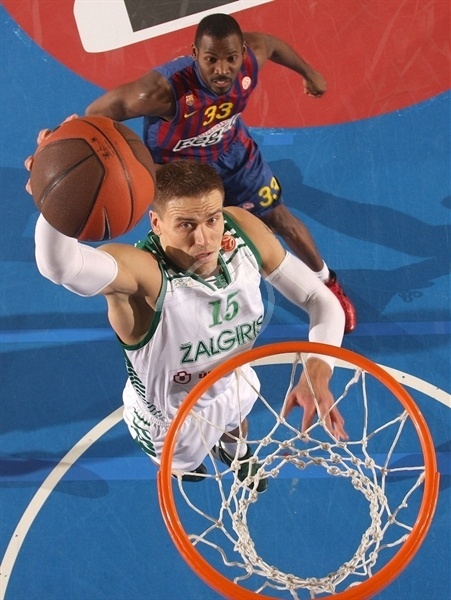 Zalgiris had reached the number of points Barcelona is allowing this season and the third quarter ha dnot yet ended. It did when Boni Ndong slammed the ball to make it 63-59 after 30 minutes. The last period started with a blue storm on court as the hosts came up with an 8-0 run. Eidson sparked it with a three-point play and CJ Wallace joined in with a three that made it 69-59. Meanwhile, Zalgiris struggled against Barca's defense and on the other end Joe Ingles lifted a layup to make it 71-59 for the Zalgiris layup. Both teams started now trading threes and three-point plays as the gap in the score moved between 13 and 10 points. Eidson and Huertas hit threes for the hosts while Weems and Delininkaitis did the same for Zalgiris. However, Barca was finding the rhythm in offense and when Navarro fed Ndong for an amazing alley-oop, it started to look like the win would stay in Barcelona, 83-72 after Delininkaitis' three. Mickeal appeared in the last two minutes of the game to secure the win for the hosts, who will stay undefeated in this Top 16.